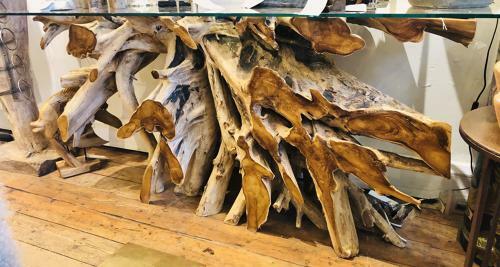 Large console table made from the root of a Teak tree. Complete with toughened glass top. Please contact us for more information.